Join ​Dasha Saian and Saian Skincare for a full day of ​education in Irvine, CA! Whether you have used Saian devices and skin care in the past, or have never heard of us, this class is for you. Register for this amazing event, and get ​4 ​hands-on demo ​classes and a certificate of attendance. Special class discounts, and a raffle for a device. Learn how to achieve instant and cumulative results using a portable ​machine, and products with ​peptides, stem cells, bioplacenta, resveratrol and growth factors. Newest Clinical Hyperpigmentation Treatment - Non-toxic Alternatives to Hydroquinone​ ​ The revolutionary Saian Hyperpigmentation Complex blocks and inhibits tyrosinase activity—fading existing spots, and preventing new damage from forming. Our newest clinical products not only provide a cumulative brightening of the skin, but moisturize, plump, and reduce wrinkles! 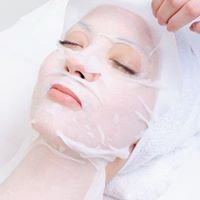 Live ​demo of ​acne facialLearn how to perform a deep cleansing facial using Saian tools such as a high-frequency and skin scrubber and skincare products with no benzoyl peroxide.